Of course this is mainly down to the attraction of the company’s products and services as well as the communication skills of the staff manning the stand. However, there is one more very important tool which if used wisely can increase the number of visitors to your stand. And that is giveaways. Let’s face it. Everybody likes a freebie. And the more innovative, fun and engaging our giveaways are, the more people will visit our stand for a chance to collect them. Not only that, but giveaways are also great conversation starters as well as ice-breakers and can be tied in with our post-event follow ups. If we really want to stand out though, we should consider moving away from the blunt old school pen. There is now available to us limitless choice of products for all budgets, that can be useful, fun, eye-catching and memorable. The domed lid of this product is great for a full colour print branding and you can match the colours of the jelly beans to your brand colours. This sweet tube is branded with full colour printed wrap label and is filled with your choice of Beanies in colours to match your artwork. These vintage looking Candy bags are filled with Popcorn are one of our most popular events products! Branded with a full colour printed sticker with your details. Great summery colour options available for this highly desirable, best seller. The matching soft stylus end piece makes it even more useful. the colour of the pen’s compartments to create a unique pen to match your brand!. We love the tactile feel of this rubberised, soft touch pen. With a coated aluminium barrel and shiny chrome trim, the Crosby Soft Touch ball pen is available in a fantastic range of fourteen colours. You can’t beat the attraction of a useful giveaway. Mugs have always been an all-time-favourite promotional product and they are now available in great new styles and with stunning branding options. Our best-selling Americano Thermal Mug has been a big success at the Pro-Ad trade shows! It is exclusively made in the UK and a stylish and modern alternative to the standard take-out coffee cup. Mix and match the colours of the lid, grip and mug to match your brand. 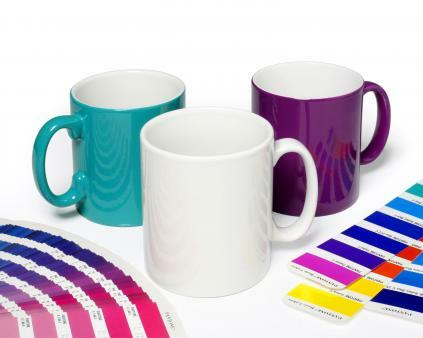 Durham style mug with intense Pantone matched body colour that will not fade during the printing process. Useful and eye-catching, these mugs will steal the show on your stand. One more very popular mug with photo quality print that gives stunning visual results of your image. This is the product every visitor will look out for! Holding tones of leaflets and catalogues is not fun so a bag is an essential. And now with the 5p low, your visitors will hold on to the product for a long time after your event! Environmentally friendly tote/shopper bag-ideal for shows & exhibitions available in a great variety of colours. Stylish Jute Bag with dyed Jute gussets and short dyed cotton cord handles. Non woven bag that folds into a handy purse for your clients to take everywhere with them!